The group LANAYA (Trust) has earned the reputation of being something spezial in the Berlin music scene. 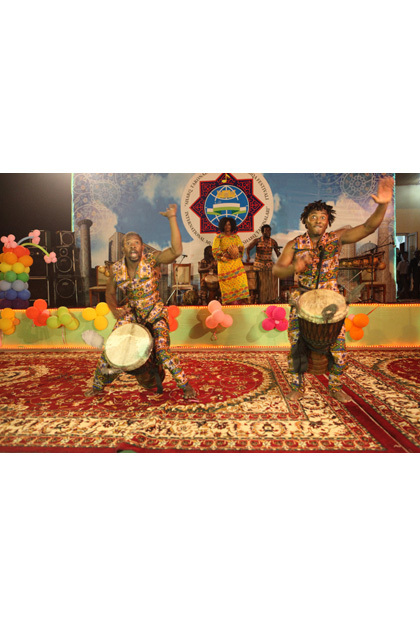 All musicians are from Burkina Faso, West Africa and use the rich cultural and musical heritage from the people of the Manding. 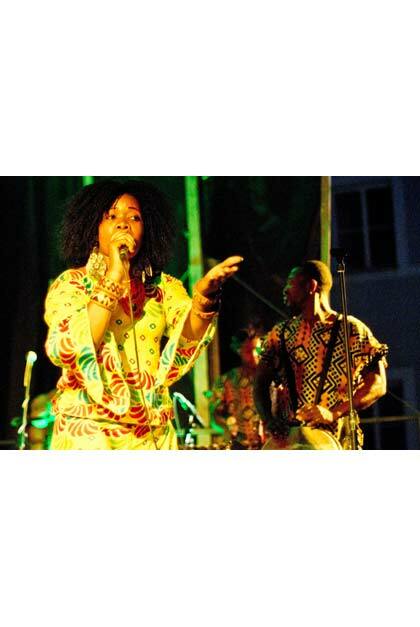 LANAYA have a profound cultural and musical background and have managed to create a very own sound which is going far beyond the songs usually heard on African drum concerts. 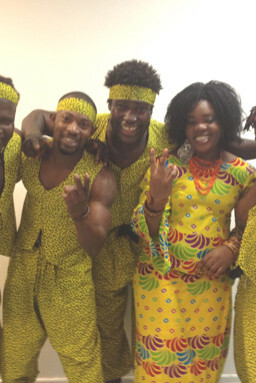 Performed are the world-famous, powerful and furious rhythms, songs and dances of the Manding Tribes: Bobo, Bissa and Siamou on the borders Mali, Ghana and Ivory Coast. Even the music-instruments are from these different regions and usually dont play together in one group! The entire repertoire was arranged by own means and modern style elements. 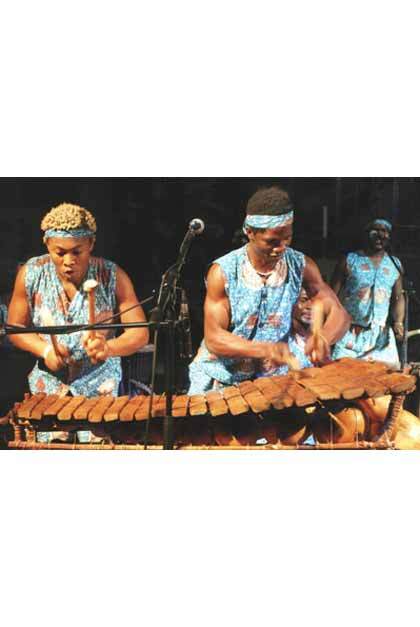 They manage to interpret partly ancient, soft or powerful, sad or happy songs with harmonic grooving melodies and rhythmic African improvisations over and over again. 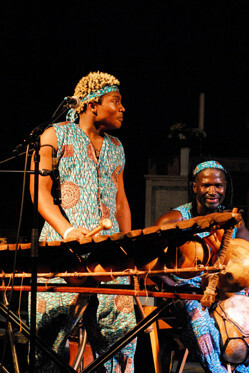 LANAYA regularly invites musicians and dancers as guests from Burkina Faso and are able to convince and delight the audience with their original way and complicity. He was born in Bobo-Dioulasso, Burkina Faso. 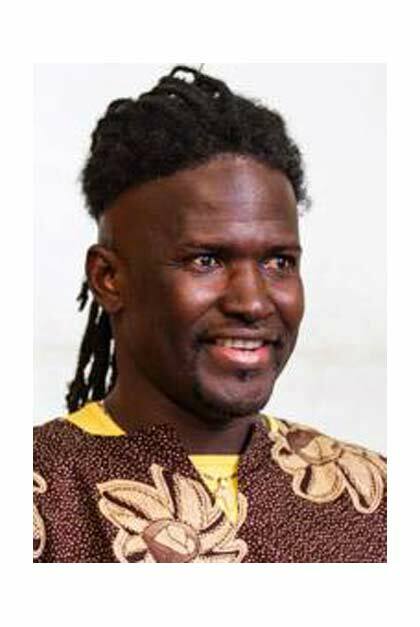 Very early he gets in touch with music through a Griot family who teaches him singing. 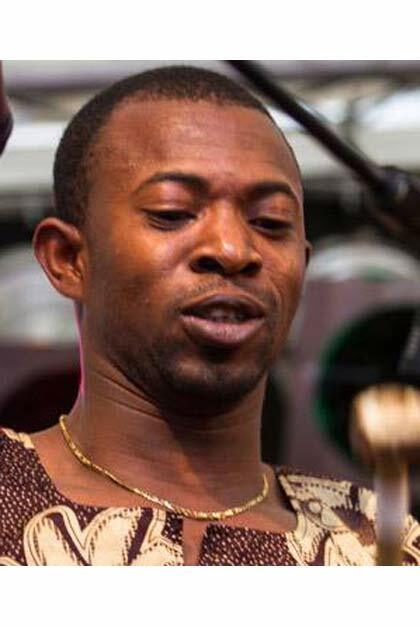 In several West African countries he met other traditions and intensifies his music knowledge in Djembe, Talking Drum, Calabash calabash and N’goni. Since 2002 Aziz is living in Germany, where he founds LANAYA with his brother Ibrahim in order to put across his home culture. To the rich Manding’s culture the band adds modern elements of style. 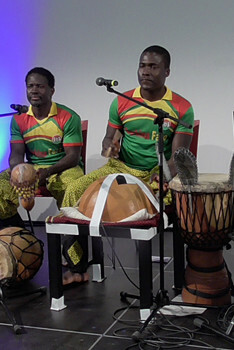 With “Trio DJEKAFO” he was on tour in Germany and Switzerland in 2008. In 2009 Aziz Sinka initiates an ambitious project: BEN KADY (Peace is good). The ensemble of musicians from about 15 countries presents itself in an exceptionally social, cultural and musical variety. Openness, tolerance, braveness and talent are the keys of this successful project which Aziz wants to establish in Berlin every year with the WOKA KUMA Festival, Berlin. 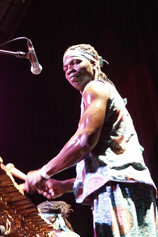 In 2005 he plays as the first African artist at the UNESCO Festival Sharq Taronalari in Uzbekistan. With “Interkunst” project against violence & racism he is on tour in Germany. Since 2006 Aziz regularly appears in the House scene of Lithuania with DJ Avieras. In 2008 he gave music workshops at the Oneaka Dance Company in Charlotte, North Carolina/USA. 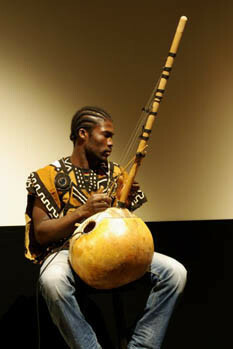 Aziz performs solo and with musicians at Africa Film festival “AfriKamera”, World Championships in Athletics 2009 (IAAF) and “Fanmeile” for FIFA World Cup in 2006. In 2009 ARTE-TV showed Abdoul Aziz Sinka as one of the main protagonists in “24 hours Berlin”. born in Ivory Coast, based in Burkina Faso worked with Soungalo Coulibaly in Bouaké and Adama Drame, Chiko, Centre Djelia, Mahkouyate from Mali. She lives in Burkina Faso. A versatile artist: Musician, Entertainer, Actor, Producer. Born in an artist family, he is one of a kind, since his earliest childhood he has been playing Traditional music instruments. In 1995 he became part of the troupe Folonkoto (whirlwind). 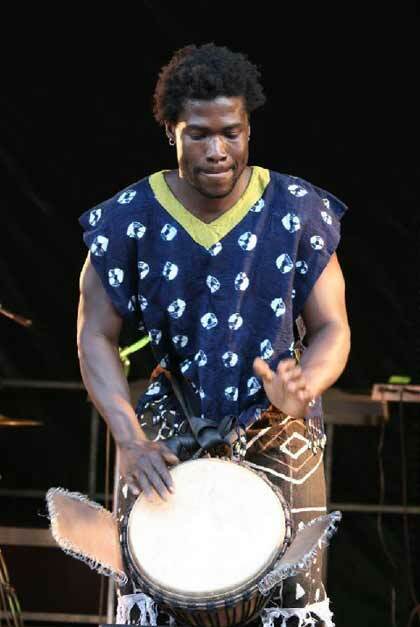 From 1999 until 2001 he joined the troupe Yèrèlon and with troupe Katouma in 2002 he won the second prize for the performance at the National Week of Culture SNC BOBO 2004. In 2008 as a member of Theatre Ensemble Baenya,. he won the 1st prize at the SNC BOBO 2008. In 2009 together with Issa Sanou as musician for the solo «Baara» which acted at the first edition of festival of Sya Ben in Bobo-Dioulasso (Burkina Faso). 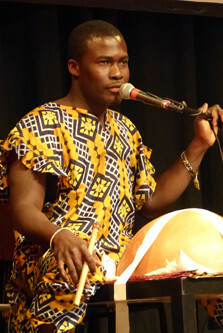 In 2010 with Theatre Ensemble Baenya he went on tour in Mali and Niger within the framework of festival Reality Theatre. 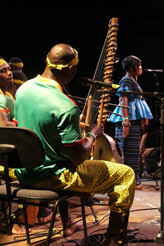 In 2011 musician in the show «Une Jeunesse En Songe» (Youth in Dream) for the opening ceremony of the 21stedition of Pan African Festival of the Cinema of Ouagadougou FESPACO, conducted by the choreographer Salia Sanou. 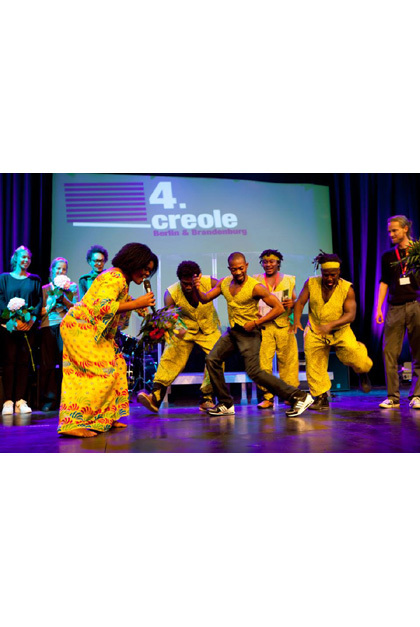 His talent got noticed by Salia Sanou who appealed him to create and to diffuse the Circus Show «Raisonnance» with the artists of the 22scd promotion of the Centre National of Arts of Circus CNAC, of Châlons-en-Champagne and from Meeting space Dafra ERJD de Bobo-Dioulasso. In 2012 on tour to South Korea. 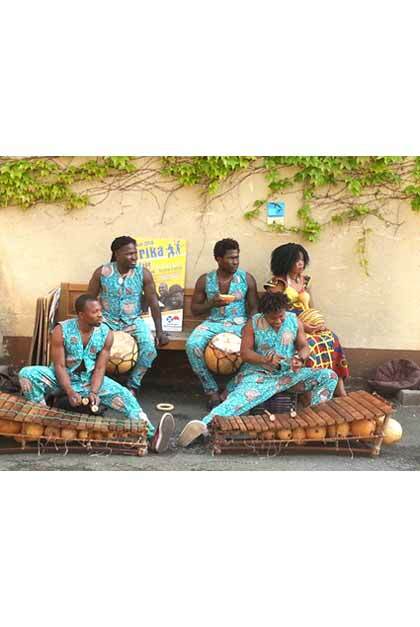 Percussion & Dance – born in the city of culture in Burkina Faso: Bobo-Dioulasso. Together with his brother Aziz Sinka he founded LANAYA in 2002 and studied at “The Beaux-arts” in Paris.